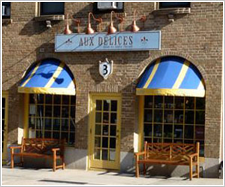 Aux Délices is the brainchild of husband and wife team Gregory Addonizio and Debra Ponzek. 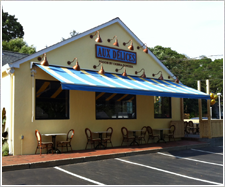 The couple opened Aux Délices in Riverside, Connecticut in 1995. The opening was warmly welcomed by a clientèle seeking finely crafted specialty foods and freshly baked desserts. 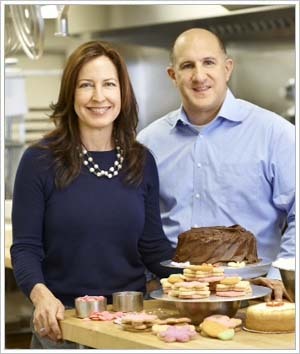 “Greg and I really love the idea of making people lives easier by providing healthy convenient foods for our customers to take home” said Ponzek. 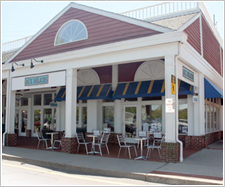 Following the success of the Riverside store, a second location in downtown Greenwich was established in 2000, followed by a Darien shop in 2004, and Westport in 2012. Since then they have built a large, commercial kitchen in Stamford where they also offer adult and children’s cooking classes. All four shops offer Chef Ponzek’s culinary creations, company-branded prepared foods and a unique collection of specialty foods. Imported items from France, Spain and Italy, as well as locally produced items line the shelves. Due to popular demand, Debra and Gregory soon began offering full-service catering to their store customers and a growing clientèle in surrounding towns. 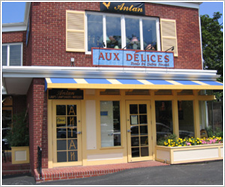 Aux Délices Events was launched soon after, bringing event planning and customized party planning to the tristate area. Aux Délices Events now caters all types and sizes of events, ranging from children’s birthday parties and informal get-togethers to large weddings and fundraisers, serving as many as 600 guests in one evening. Debra Ponzek is an acclaimed chef who, prior to opening Aux Délices, was Executive Chef at New York City’s Montrachet Restaurant and credited with a seven-year run of three-star status. 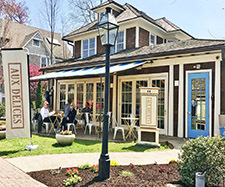 Greg Addonizio also attended the Culinary Institute of America, and owned several successful restaurants in California and Connecticut before opening Aux Delices. The couple have three children and live in Greenwich.